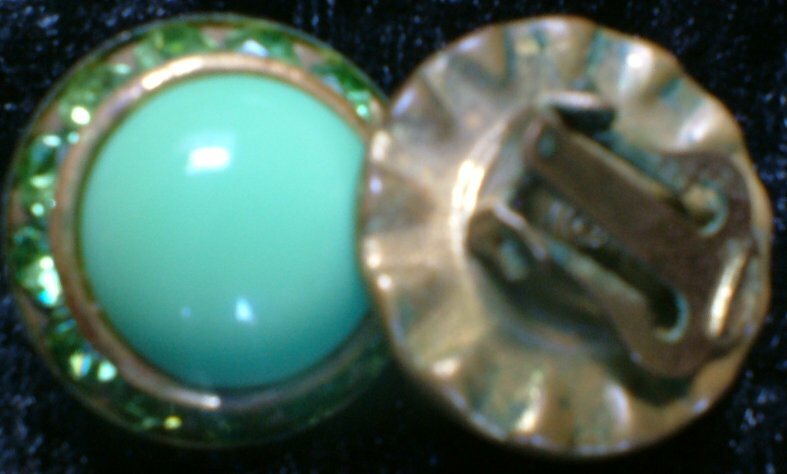 Vintage 1920s/30s round green earrings with green briliants. 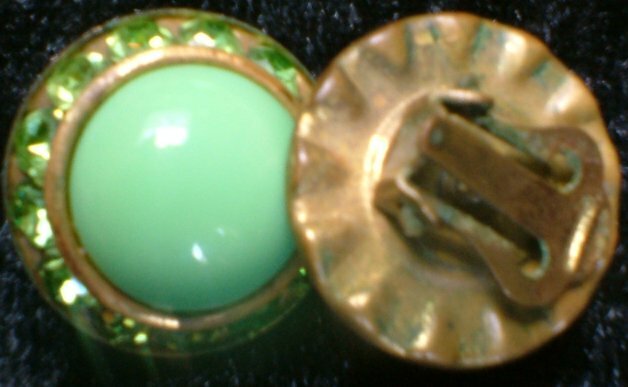 This is a pair of Art Deco style earrings - understated, but impossible to ignore! 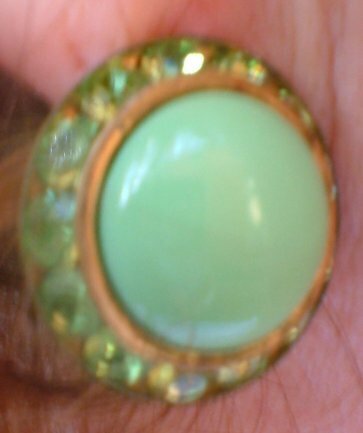 They are circular, and centre on a leaf-green stone just over half an inch (1.5 cms) in diameter, surrounded by 14 brilliants. The line across the large stone in this picture is a hair, by the way! 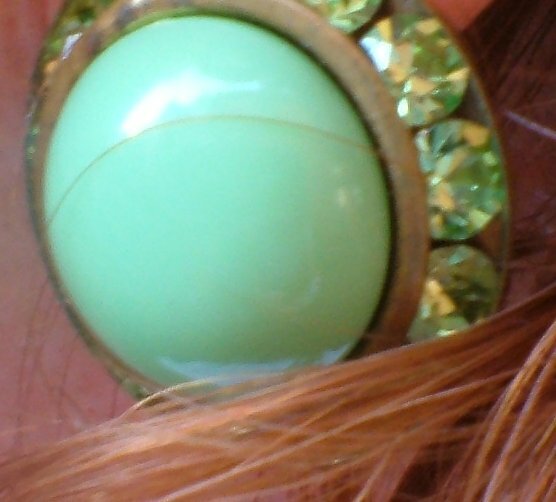 They are clip-ons, as you'd expect for the era, and in excellent condition: there are no stones missing or faulty, and the clips still work perfectly; I'm told they are very comfortable to wear!